Mark Strandquist is a cultural organizer who has spent years using art as a vehicle for connecting diverse communities to build empathy and support for social justice movements. Strandquist teaches Art and Activism as an adjunct faculty at Virginia Commonwealth University and the International Center for Photography, and is a Professional Fellow at the Virginia Museum of Fine Arts. I first met Mark at the 2013 Society for Photographic Education conference in Baltimore. After hearing about what he does, it was no surprise to me that he won the Innovations in Imaging Award that year. There is a brilliant elegance to his work as a photographer and activist; something tangible in the way he is able to parse issues down to their core, bring them to us on a democratic level, and move us to action. I interviewed Mark about his projects Windows From Prison and Performing Statistics in October 2015 over Skype while he was in Michigan consulting on a project. We talked about how he has honed in on the fine balance that is the intersection of visual art, collaboration, agency, and activism. Zora J Murff (ZM): Why don’t we start with a little bit of background on your projects. Mark Strandquist (MS): I began Windows From Prison (WFP) while I was an undergraduate at VCU. Since beginning the project in Richmond, VA, I’ve been able to work with incarcerated men, women, and teens across the US through a national postcard project, high school curricula, and interactive public art installations that have been seen by tens of thousands of individuals. Over time the work has evolved into the Performing Statistics (PS) project which connects incarcerated teens with artists and policy advocates to do everything from train police officers to organizing public art parades. I use a lot of different photographic, exhibition, and workshop based tactics which all build on contemporary journalistic practices but the core ethos to the work is that those most impacted by the criminal justice system should be at the center of the design, production, and dissemination of the work. Before starting these projects I was traveling around the country making a film about transient train-hopping Christians. I finally stumbled back in Richmond to finish my degree at Virginia Commonwealth University. My main project at the time (10 Blocks) was centered around families who lived within ten blocks of the US capitol building, but whose lives were so vastly different than the American dream that the national monuments projected. I spent weeks having incredibly powerful experiences with these individuals and then it was done. We showed the film at some festivals and the dissonance between how the work was being engaged by audiences (in dark, silent spaces) and the actual conversations and experiences I had had during the production, were so intense. I felt grossed out by it. The representations failed. I believe so deeply in the political power of conversation. Representing social issues has never felt like enough. So often photo projects mirror a colonial way of extracting stories from one area of experience, and bringing those resources (personal histories) to another audience. I wanted to counter that as much as possible and wanted to create a space where people most affected by these issues were helping create the images and take part in every part of the process. There’s an Angela Davis quote that I really love where she basically talks about how prison makes whole masses of humans invisible to much of society through incarceration, but also make the social issues that cause high rates of incarceration invisible through sweeping them under the rug. That was my call to action as a photographer. How can I use my work as a vehicle for bringing stories of those most affected by these issues into public spaces; and then to use those exhibits, those humanistic entry points as a stage for engaging, questioning, and hopefully transforming these social issues that lead to high rates of incarceration. At VCU, while I was trying to use my work through a social justice lens, I found that traditional ways of exhibiting and producing the work felt impotent, almost disrespectful to those whose lives I was entering. So Windows came from those experiences to try to mitigate some of those frustrations. ZM: How did you start connecting with people in that manner to make work? MS: For almost all my work, I try to partner with people who are already working in facilities, mostly because they have already spent time building trust, creating a space for critical discourse or political thought; this allows me to dig in quickly. Having that access helps a lot, but it is always a big responsibility for me to respect the trust that my friends or partners have already developed. I was in school and taking a photography class that vaguely required me to “make a project about a community,” and my friend Liz Canfield was teaching at the Richmond City Jail. I started talking with her about the Windows concept and she made it really easy by bringing me in as a guest instructor. From the beginning it was framed as a counter-narrative project. We asked participants, when you hear the word “prisoner,” what images comes to mind. We talked about where stereotypes come from, and what it means when other people are in control of your own representations. It was about transforming narratives, but it was very small; We asked the incarcerated participants, “If you had a window in your cell, what place from your past would you have it look out to?” I then went out, made the photos and brougth them back to the jail. A couple months later we did our first exhibit in a gallery, printing the images as small as we had to in order to give them to the incarcerated men and women (4x6 in). The idea being that if you wanted to engage with these histories, you couldn’t stand back, you had to step up and enter into their space. I wanted it to be so much more than a photo exhibit. I created a map where I geolocated every jail or prison in the US and painted a dot for each of those on the wall. We had a lending library of books written by prisoners about incarceration, an area where people could donate books and write letters to prisoners, and find out ways to volunteer with local organizations. We held a ton of events, film screenings, and discussions. I began to see how an exhibit could become a really powerful entry point or public stage for connecting to larger audiences but I also saw the limitations of working in art spaces. You can really craft an environment to your needs but there always seems to be a self-selecting audience that comes to galleries. I wanted to reach that audience but also so many others. I was inspired and energized by the experience but also frustrated, from that point on I began to think critically about how I could get the work into public spaces to engage much larger audiences. One of the core ethos of my work is thinking about photography as a social performance. The design, production, and exhibition of every photograph has all of these chances, all these stages that, if the photographer chooses, can bring people into the fold in really powerful and generative ways. You can bring people together to not only collectively create something, but also, in the process of working together, develop empathy, understanding, and community power. When I was making the images by myself, those moments – going to peoples’ homes and talking to their families – were so incredibly powerful to me, often more powerful than the resulting images. I saw how the act of creating an image was itself an amazing mobile classroom and I wanted to share that with others. When I finished my undergraduate degree I got the opportunity to do a project at George Mason University and I saw this as a chance to expand the project to not only break out of the gallery (through public installations) but to bring hundreds of participants into the fold. GMU is right outside of Washington, DC so we focused on that context. If you’re incarcerated in D.C., you can be sent to any prison in the country and be thousands of miles away from family and friends. 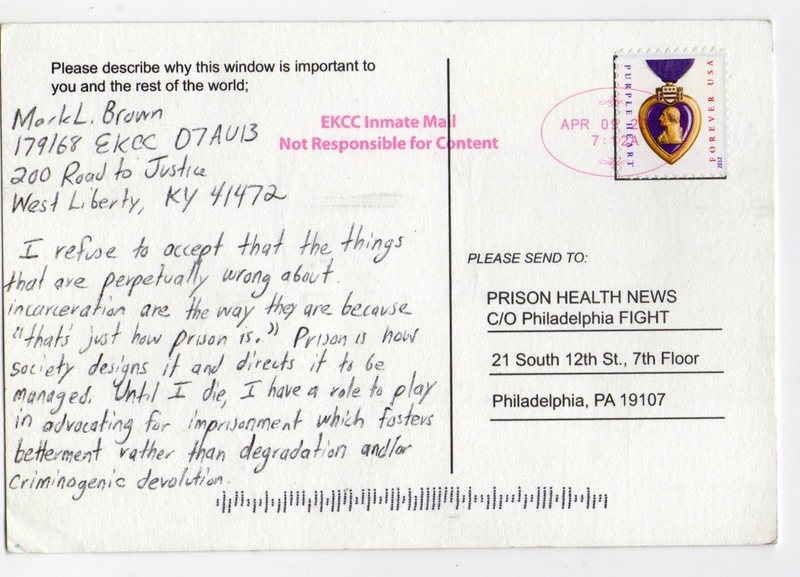 We worked with college and high school students to write letters to prisoners all over the U.S. and asked, what place from their past in DC do they most wish they could see? The prisoners sent incredibly beautiful responses, we went out together (like a mobile classroom) made the photos all over the city and sent them back to each person. It was the first time I was bringing more people into the process of creating the photo requests, and it radically shifted the project. The exhibition wasn’t about me creating the installation, it was about looking to the university – like any other community – as a space full of potential and expertise. I spent a lot of time leading up to the installation meeting with classes and community groups to develop mini-projects and connections across the campus. For example I worked with womens’ studies students to do research about the impact of incarceration on women who then collaborated with GMU printmaking students to create these beautiful zines that were handed out in hundreds. We printed the Windows photos on huge banners and installed them in the main public square of the campus (where thousands walk by each day). The images were set up in a circle, they became the first layer, the humanistic entry point into these incredibly complex issues. As viewers went further they encountered a life size prison cell, maps of every jail or prison, student made publications and more. 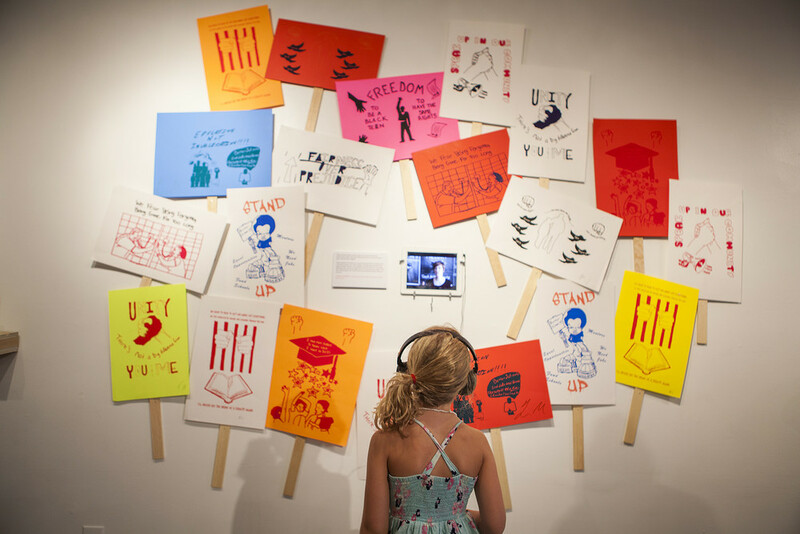 Every day of the exhibit featured public programing; former prisoners reading poetry, leading policy experts talking about alternatives to incarceration, film screenings, debates, and workshops. The exhibit became a public classroom without walls. Hundreds of students worked together to create the exhibit, thousands viewed it and tens of thousands connected through the press it generated. It is all a social/creative/civic performance to me. I think there’s a way of working that myself and many others are using that could be used to engage with any social issue. Given how systematic and urgent these issues are I believe that photography is not enough, there’s so much opportunity to make the work more intentional and powerful, we just have to choose to do it. Photos requested by prisoners printed alongside their letters and displayed in George Mason University's public square. ZM: It is mind blowing to me how asking a simple question explodes into so much more when you take it out of the context of becoming a gallery exhibition. It’s beautiful, and it’s powerful. Obviously you know you’re onto something. It’s working, right? MS: Thanks! Sometimes it feels like it’s working :). I think art plays such an important role in all social movements. There’s always power in bringing people together, but it’s just the starting point. I’m always trying to find ways to go deeper. For instance we did a version recently where the incarcerated participants came up with performance actions for us to complete for them at the location that they want photographed. For example, one prompt was, “Bring a big bag of grapes to my mom’s house and when she opens the door, give her a giant hug and tell her that her daughter is gonna be home soon.” Performing that action for someone who you may never meet can be so incredibly powerful. You’re embodying someone else’s wishes, which I think is a powerful way to develop empathy and understanding, the needed foundation of any movement for justice. As the project has grown I’m constantly questioning, refining, expanding the project, trying to move beyond raising awareness. ZM: For me, it seems like this idea of cultivating compassion through completing actions that someone would do if they had the power to do so. What gets me most about your work is that the idea seems so simple, but it breaks the issues down to their core. You’re helping incarcerated individuals exist again. MS: I’ve been drawn to places where people’s histories and lives are silenced for a long time. When I was in High School I was really lucky to work with this group Positive Force in Washington, DC. Each week we visited low income female senior citizens. We would deliver groceries or do things like help clean people’s houses so they’d avoid eviction, but more than anything we would hang out and talk with people that we presumably had little in common with. It was here, during these visits, that I understood the political power of conversation. Many of these ladies grew up through decades of official segregation, through social, economic, and political struggles only to end, mostly alone in these huge section 8 high rises. If I had simply seen representations of them, or even read about them, I don’t know if I would have connected as much or understood how devastating it would be if their memories and beliefs weren’t preserved and shared. Think of any issue, the people most impacted by it are the experts, they’re the ones we should all be looking to. For my work today I realise that we can’t bring people into prisons on a large scale, so how do we cultivate that compassion? The creative exchange can cut through prison walls, and connect across racial and economic difference. It plants the seed, and sets the stage for taking personal and community steps to propose and perform a more just and whole world. ZM: Will you continue to work on Windows in one iteration or another? MS: Absolutely. Other versions of the project have and are happening around the country and began happening in Canada this fall. 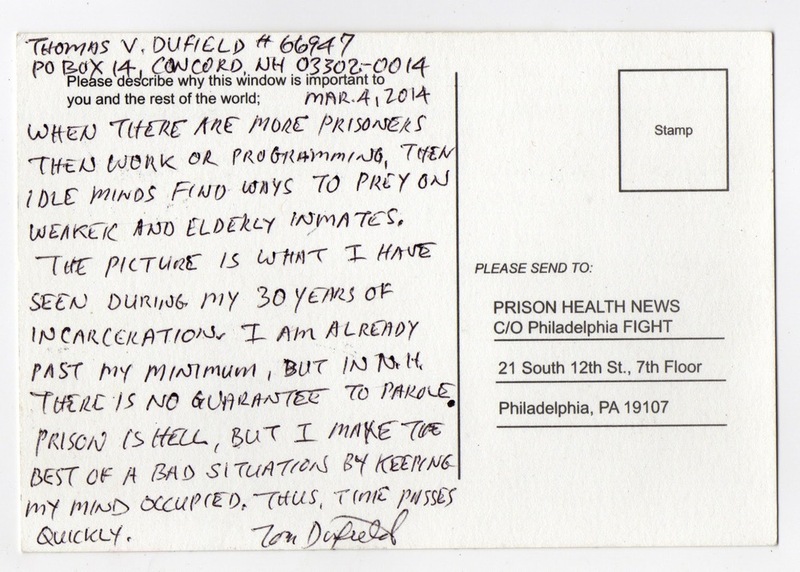 Beyond the photo versions it’s evolved into a postcard project where we sent 5000 postcards around the country and flipped the prompt to: “If you could create a window to look inside of prison, what would you want to see?” Here the prisoner becomes the photojournalist, sharing slices of life that they want the world to understand or know about. As the project evolves, grows, and is utilized in different communities, I don’t have to necessarily be present. I would love to get to the point where I’m more of a consultant to help people get their own versions started. I’m working with the foundation Photowings to develop an open source tool-kit for the project that will help people build and expand their own locally relevant versions. ZM: Why don’t we jump into Performing Statistics. MS: A couple years ago I was reading a report by the Sentencing Project about mass incarceration. Their argument was that if things do not massively change in current incarceration trends, one of every three black boys, one of every six Latino, and one of every sixteen white will be incarcerated in their lives. At the time, I was organizing a WFP event, and I was seeing the flaws and the gaps in my work. I’m not saying this to devalue anything that I’ve done, but I wanted to organize something larger. Originally, it was going to be working with a high school marching band in D.C. to perform on the national mall a series of juvenile justice statistics. But for a number of reasons we decided to do this project in Virginia and make it more than a one off public action. 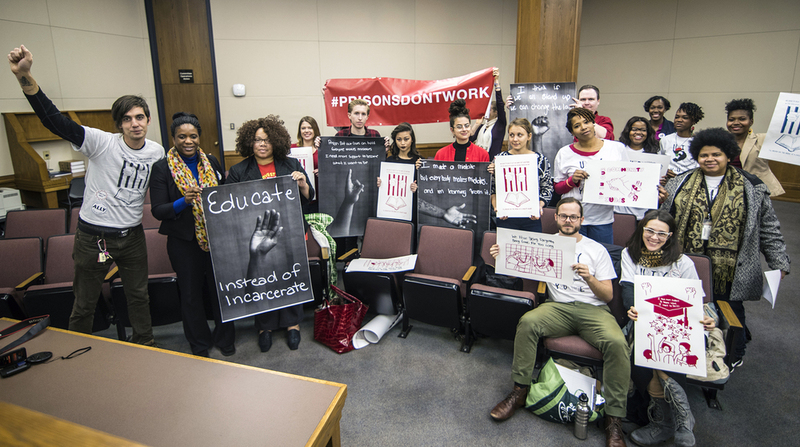 PS begins with two questions: how would prison reform differ if it was lead by incarcerated youth, and how could Virginia’s top artists, educators, and policy experts really support their vision and ideas to make them successful? We didn’t know what youth we were going to work with, what type of programming we were going to do, or that we were going to be able to get kids out of the detention center for three days a week over the summer. It just started with two simple questions. From the beginning I knew it was important for it to not be “my project.” We needed community buy in from the beginning. I was working with Magnum Foundation as one of their first Photography Expanded fellows, and they were helping envision the process. We held meetings bringing together teachers, lawyers, former prisoners, radio DJs, and really just presented the concept and developed it deeply with a ton of individuals. Our team came together including key partners (Legal Aid Justice Center, Art180, 1708 Gallery) and a multitude of other collaborators (trauma care specialists, art advocates, curriculum specialists, and teachers). Over the next couple of months, we negotiated with the Richmond Juvenile Detention Center to allow us to provide summer programming for incarcerated teens. For 8 weeks the teens got to leave their detention center, wear their own clothes and work with us in Art 180’s large, window filled art space without any guards. Each week I organized a different set of silkscreen artists, radio DJs, poets, and professional studio photographers as well as lawyers who would come in every week to talk with teens about incarceration. Teens would learn different creative skills, learn about their rights and legal issues, and then work together to create a multitude of amazing projects. The teens worked with DJ Michael Donovan to go to a radio station and recorded radio PSAs about what they wished people knew about incarcerated kids, they worked with printmaker Molly Fair to design and silkscreen t-shirts and posters about alternatives to incarceration. The teen’s identities were not allowed to be shown so we looked at portrait styles were people used light, shadow, and obscurity to hide identity, and then the teens sketched out their own portrait. Assisted by the portrait artists and photographer, Terry Brown, the teens took each others’ photos, guided by their sketches, to create photos that included their responses to the prompt “If you were me you would know...” Terry acted as a producer, helping the kids create their vision. 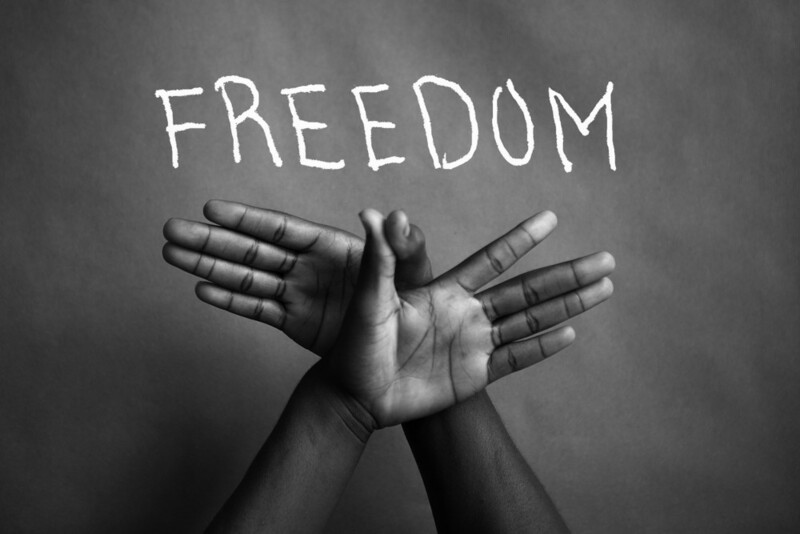 Two of our key teachers were incarcerated as juveniles, and their experience and energy helped create a environment that the teens could trust and feel empowered in. This was essential when we began the hardest piece in the project, creating a police training manual written by incarcerated youth. There was so much distrust and trauma. With the help of many activists who came and worked with the youth we created three police training manuals. The manuals have had a huge impact already. It’s interesting that the most difficult part of a project often becomes the most powerful. The last project we did was create a to-scale model of a prison cell (6’x8’x8’) and wrote messages to the viewers about what they wished people would walk away with or meditate on. The kids then burned them into wooden floorboards of the cell. When the exhibit opened in September, 600 people went through in two hours. Visitors added red tags to the jail cell in response to the question: “What can you do to create a world where no youth are locked up,” and the bars of the cell disappeared as people offered up their suggestions. Before the exhibit closed we used it as a immersive and arts-based classroom to train every police recruit in Richmond, VA. The Police Chief was so blown away that he is going to expand the training to officers across the city. Other departments have expressed interest across the state. While the exhibit ended in October it’s been touring around the state and will continue to travel throughout the spring. In November, we organized a “Justice Parade for Incarcerated Youth” which was designed to function as a mobile, people-powered art exhibit featuring hundreds of pieces of art made by incarcerated youth: parade participants wore shirts and held posters silk screened by the teens, carried huge photo banners of the teen’s portraits, and worked with musicians to perform and sing protest chants that the teens wrote. The parade began with a rally at the General Assembly Building, where we lit up our “PRISONS DON’T WORK” LED light banner, and marched the teen’s artwork and sung their protest chants down Richmond’s main st, blocking traffic for two miles during the height of rush hour. A month ago we brought the mobile exhibit to the Virginia Museum of Fine Arts for 1708 Gallery’s InLight festival. 21,000 people came out over the two night festival. It’s been amazing to be able to bring the project to cultural, educational, and political centers of power. As artists and advocates we need to engage all of them. 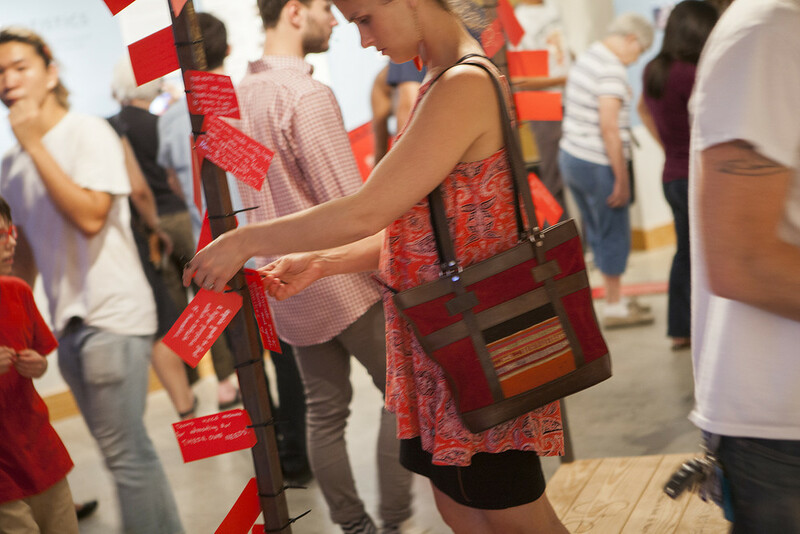 From the beginning it was important to create materials that wouldn’t just end up in a gallery, but objects and materials that could be deployed by community members. Whether we’re training police, exhibiting in public schools, or bringing the art into public spaces the project not only celebrates the voices of incarcerated youth, but brings them to spaces where they cannot be ignored or silenced. ZM: How did the kids respond? MS: I think they didn’t believe us when we said that this could actually make a difference. That’s something we’ve talked a lot about as a group. I think next year, with all our successes it will be a lot easier because we’ll be able to show the teens what a project like this can do. But I totally get it, I’ve worked with teens who have said to me, “If you thought you were going to be dead or in jail by the time you’re 21, what would you do? How would you react? Why would school matter to you?” Being able to see a future is so important, someone told me once that the first casualty of violence is the imagination. Envisioning, planning, and enacting your future is unfortunately a privilege. There are many teens in this country who are surviving childhood not experiencing it. I think when the teens came back after the opening and saw how many people had responded and written letters to them, how many red tags were up on the prison cell, that’s when they started to believe it might have an impact. We showed them videos of how many people came to the space, people wearing their t-shirts, chanting their protest chants. That’s when it began to sink in, but we’re just beginning! MS: It’s been such a huge year. We were just awarded a $500,000 3 year grant to massively expand our work for Performing Statistics. I still don’t really believe it :) We’re doing actions and exhibits all throughout the spring to keep public pressure and attention during Virginia’s General Assembly session. After the spring we’ll be doing another summer workshop series with a new group of incarcerated youth and expanding beyond there. Beyond directing the project in Richmond I’ll be spending the year co-directing the People’s Paper Co-op with my partner in Philadelphia, doing a bunch of exhibits, smaller projects, and presentations around the US, and hopefully finding time to go on bike rides, read more books, make feasts with friends, and be a human being... those, more than anything, are my new year’s resolutions :). There’s so much to celebrate but even more we need to work towards. Thankfully there’s more than enough incredible friends and collaborators to make it all happen!